Mississauga DUI Charge? Let Frank Genesee help you! Let DUI / impaired driving lawyer Frank Genesee get your life back on track. This is a stressful time for you. People under stress often make poor decisions because they’re not thinking clearly. Don’t make that mistake. Seek help from experienced DUI lawyer in Mississauga, Frank Genesee and feel secure in the knowledge that you have an expert looking out for your interests. In the Mississauga area, Frank Genesee has helped many in your situation to beat the impaired driving charges against them. Don’t wait any longer. Call Frank Genesee today at (289) 426-1644 to get the essential information that you need to address your impaired driving charges successfully. Frank Genesee can help if you are facing charges of driving over .08 or any charges related to impaired driving in Canada. A lot of common assumptions about impaired driving law in Canada are wrong. Don’t let these misconceptions negatively impact your entire future. Contact Frank Genesee and become informed about the charges that you face and the best course of action for you. Facing impaired driving charges is a stressful situation. You may have stopped thinking clearly and just want to put the whole situation in your past. The worst thing you can do at this point is to plead guilty so that you can get the ordeal over with. Even without a defence, you may be able to negotiate a plea to a lesser offence, like a traffic ticket. Frank Genesee can determine if this is an option in your case and get you the best possible result. If you do proceed to trial, Frank Genesee’s expertise and training will be crucial to preparing for and conducting the trial. Never assume that the case against you is open and shut. Do not plead guilty until Frank Genesee has reviewed your case. Frank Genesee can help you address the charges against you, starting today. 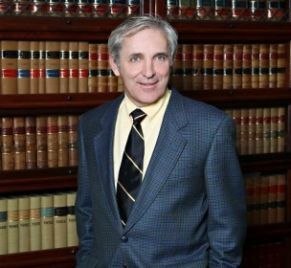 As a skilled impaired driving lawyer, Frank Genesee will provide you with the knowledge that you need to make the best and most informed decisions about how to proceed. This is definitely a situation in which knowledge is power. Understand that the sooner you act and contact Frank Genesee, the better equipped you will be to deal with the charges against you effectively. The charges against you will not go away without help. You may be surprised how often Frank Genesee is able to help clients beat the charges against them. Never assume that the case against you can be proved. Even if the police told you that you failed the breath test, do not plead guilty before you consult Frank Genesee and find out if the charges against you can be dismissed or reduced. The decisions you make today can affect you for the rest of your life. Take action now and call Frank Genesee at (289) 426-1644 to get the help you need to deal with your impaired driving charges.